At Friendship Square Child Care & Kindergarten Co-Operative, we strive to make meaningful connections within our community. Come along for a leisurely walk for an hour, grab a coffee and let the kids play in the park afterwards. It's a great way to get to know other families on a social basis, it is free to attend and kids are welcome. Join us for a child free evening discussing books and getting to know the parents & friends of Friendship Square. Our book club is a fun and relaxed quarterly event. Our Information Nights are invaluable events for all families to attend. Experts are invited to talk to our community about varied topics that are relevant to our families. In 2018, Friendship Square Child Care & Kindergarten Co-Operative held a Disco Bingo evening as the major fundraising event. 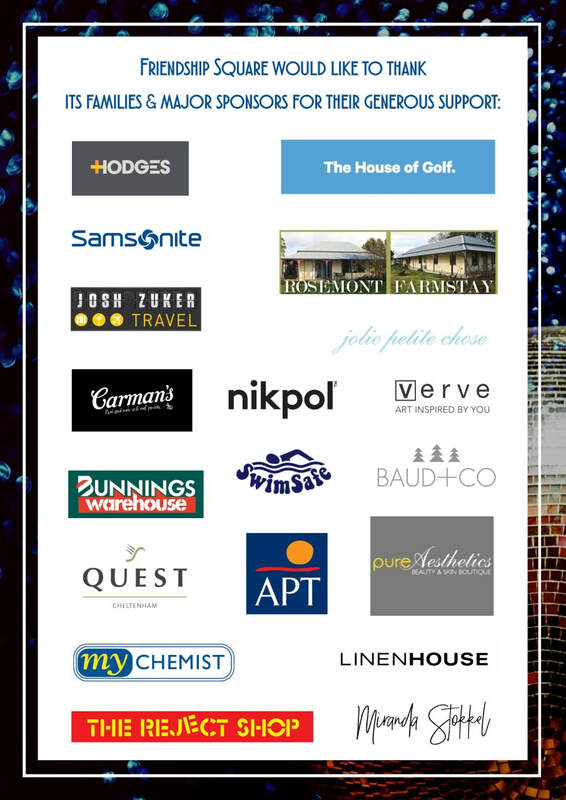 The evening was heavily supported by local businesses who generously made donations ensuring the evening was a huge success. Families and friends of the centre came together for an evening for fun, laughter and fabulous music. The funds raised on the evening will be put straight back into the centre to improve the facilities and programs on at our centre. Friendship Square is proud to announce its partnership with Pandelis Plousi from Hodges Real Estate Mentone. This partnership has allowed us to complete some much-needed works as part of our outdoor upgrade and will assist us in working toward future projects at the centre. We value Hodges’ contribution and dedication to improving the facilities and programs on offer at Friendship Square. 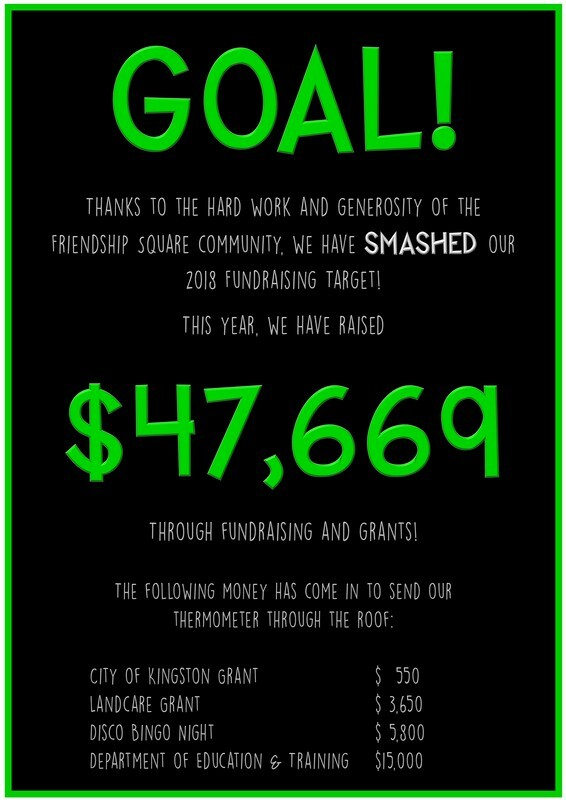 We would like to acknowledge the support of the City of Kingston for the funding they have provided to complete various works and upgrades to the centre. In 2018, Friendship Square Child Care & Kindergarten Co-Operative were thrilled to receive a grant from Terry White ChemMart. The money went towards a much needed upgrade to the outdoor play space. We were able to purchase a dynamic new play structure for our children to enjoy. In 2017, Bunnings generously sent out an expert to guide our budding gardeners, aged 3 to 5, in planting and caring for our community herb garden. Friendship Square Child Care & Kindergarten Co-Operative's herb garden sits proudly at the entrance of our centre, next to our little library, and is cared for by the kinder students. We look forward to future projects with Bunnings that allow our centre's little garden to flourish! Sitting at the entrance to Friendship Square Child Care & Kindergarten Co-Operative is the Friendship Square Street Library. We encourage the community to come down and browse our collection and even borrow a book to read! The herb garden is flourishing and Friendship Square families and neighbours are welcome to help themselves to the produce. Waller's Bakery provides fresh bread to the child care centre each week and generously makes donations to sausage sizzles and other fundraising events. Since 2013, Waller's Bakery have kindly supported our centre by sponsoring our annual Hot Cross Bun fundraiser. We are grateful for their continued support! Thank you to Frank's for providing all our worker bees with coffee and breakfast! In 2018 Frank's, our local coffee shop, has provided our families with coffee and breakfast after a hard but rewarding morning at our working bees. Our working bees are an important part of helping to maintain and upkeep our centre, both families and staff happily pull up their sleeves!